I guess the title begs to ask - what is the difference? The wise father of a friend said to me once that a weed is anything you don´t want in your garden. 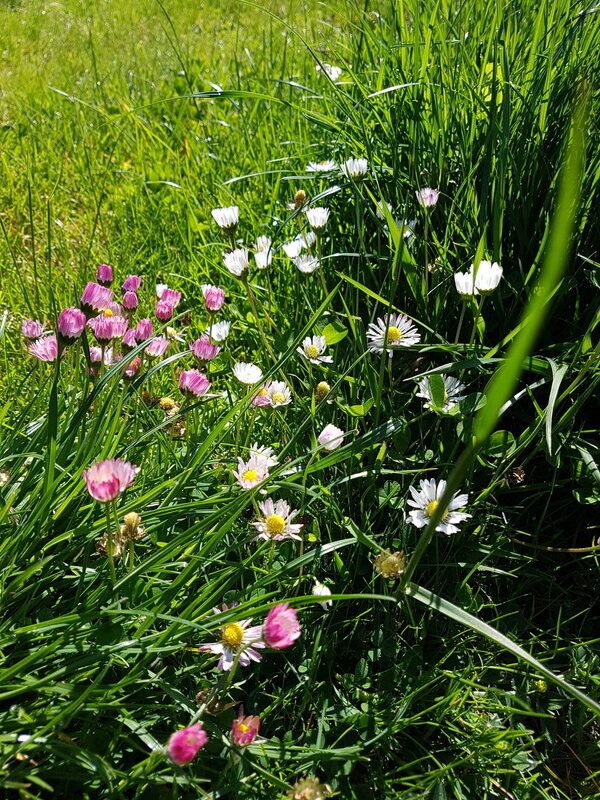 I struggle with my family about which "weeds" I am allowed to keep in the lawn which is anything but pristine and filled with probably as much moss, true herbs and weeds as grass. Maybe more. Over the course of two weeks, I took a refresher course on herbs. Somehow in the moment, I have so many ideas, but then the days pass, I forget much of what I learned and don´t seem to find the time to use my new knowledge. Perhaps I set my sights too high. Instead of making it a chore, it should be a delight. So what do I have in the garden or around my house? Sorrel, nettles, dandelion, lemon balm, cleavers and probably many more that I just don´t recognize. Many can be added to salads, soups, omelettes and stews and at this time of year when your body needs rejuvenation and detox, these herbs are exactly what our ancestors would have put on their plate after a long winter. One thing I learned from my course, you don´t need a lot of any of these herbs - just a small handful is more than enough. In fact, too much nettles can overload your kidneys and cause severe detox reactions. If you are going to add them to a smoothie, a few leaves are plenty! Sorrel, for example, can cause vomiting and diarrhea when eaten en masse - but instinctively one should never eat more than one needs. In fact, children often don´t want to eat such bitter foods (dandelions, nettles, sorrel are classified as bitters and aid in digestion), because they don´t yet need to. If you find that you really enjoy such foods, then your body will normally tell you when to stop. If you have any recipes, please do share. I think I will now enjoy some sun and see what else I can find in my weed-lawn.